Color-coding provides quick reference and easy retrieval. Two fasteners per folder provide two filing options in positions one and three. Straight-cut tabs offer room for numeric, alphabetic and bar-coded labels. Folders expand to hold 3/4". Made with heavyweight 11 point stock. 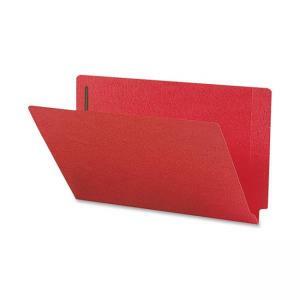 Folders are ideal for organizations that maintain large record management systems. SFI Certified.